The dolls and their wardrobe are going off in the mail tomorrow. 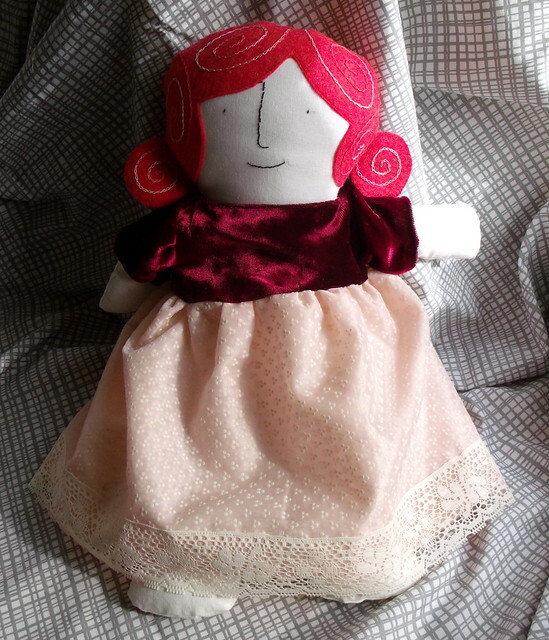 I should have mailed them yesterday, but I wasn’t done with the Tiny Velvet Ballgown of Doom yet. This was, to put it mildly, harder than I thought it would be. 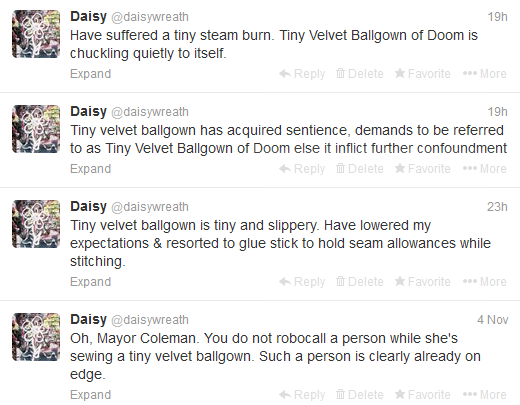 I’d never sewn velvet before, and all those tiny pieces were slippery and hard to wrangle. I used a roller foot, which helped some, but it was still pretty tough. 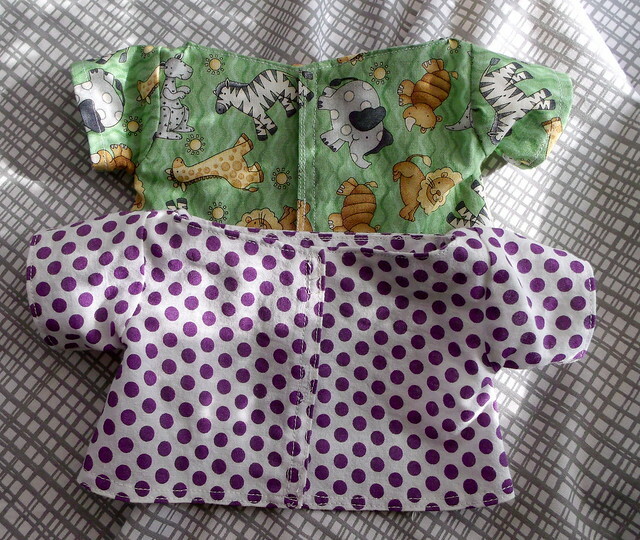 At one point I broke out the glue stick to help keep the seam allowances together while I was sewing. I am not particularly proud of that fact, but it worked. It’s a bit of a mess on the inside. I didn’t actually intend to put that lace trim on it, but it turned out to be necessary to hide some unevenness with the skirt layers at the back seam. I took the incredibly lazy way out and just folded the fabric in thirds and hemmed the raw edge, but things went a little weird at the seam. Lace trim to the rescue! 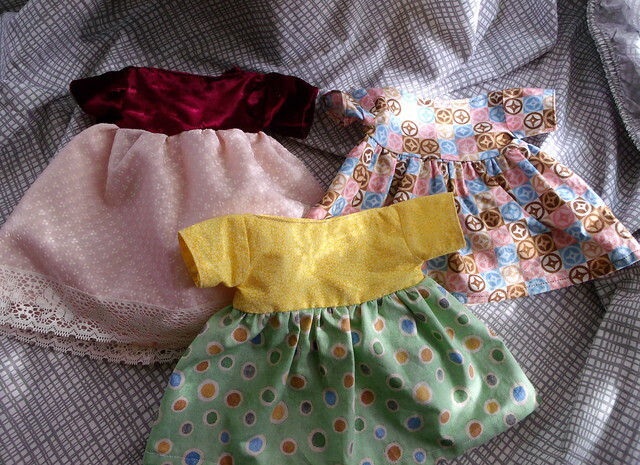 I made some other clothes over the weekend, too. I love this animal print. 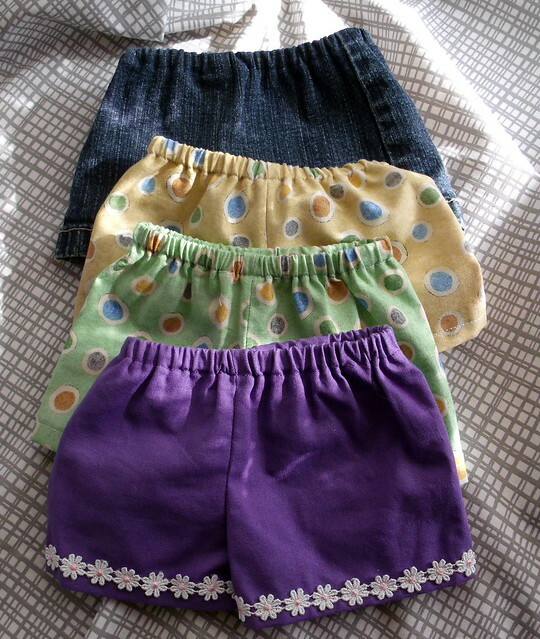 The total wardrobe looks like so, with a disproportionate number of pairs of shorts since I didn’t have time to make as many shirts as I wanted to. It was either the shirts or the fancy dress, and fancy dress won. I love these two dolls. 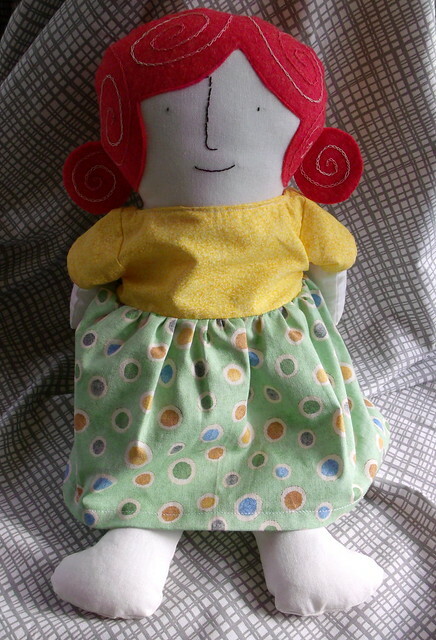 I especially love the hair of the red haired doll. There is something about the texture that is great. 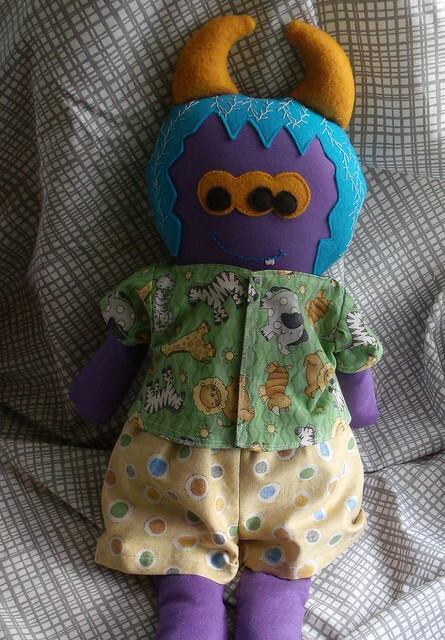 I also love the 3 eyes on your monster doll. Nice work.